Editor’s Note: Since the news has been flooded with gruesome scenes of total disregard for human life, Concerned Women for America (CWA) thought our members could use a breath of fresh air. The piece below was written by Katlyn, a woman who recently found out she is pregnant with her first child. She and her husband are absolutely overjoyed. May we be humbled today by the value which Katlyn and her husband placed on life, long before conception. Katlyn’s words are a sweet reminder of the excitement of new life and the importance of prayer for babies in the womb. It makes absolutely no sense that people like Katlyn and her husband would pray for their baby before he or she is born, while at the very same time there are “doctors” who are praying for a “less crunchy” abortion so that the baby parts they extract will be fully intact … and worth more money. Katlyn puts it perfectly when she states that we value life because God values life. In Jeremiah 1:5, God says, “Before I formed you in the womb I knew you, before you were born I set you apart.” Our Father knows and loves these precious human beings long before they are even a thought in their parents’ minds. Put aside the current social debates, our Lord is the main reason to fight to protect life. Rest assured; CWA will not stand down until we see the end of abortion. My husband and I are beyond humbled and enthusiastic about the birth of our firstborn child. I’ll start out by saying that he and I must give credit where credit is due, and that is to Our Heavenly Father. We know that this little growing miracle is a blessing from Him. He is the only one who can give life, and so we thank God for the life He has blessed us with. Graciously, my husband and I have had no infertility issues, and we got pregnant very quickly once we started “trying.” I know how rare that can be, especially since I’ve seen the pain of friends who try for many, many months and even years for a child. However, even though we were extremely fortunate and blessed in not having issues with infertility, it has never stopped us from praying for this child and our future children. Matter of fact, we prayed for this child and our future children before we were even married. 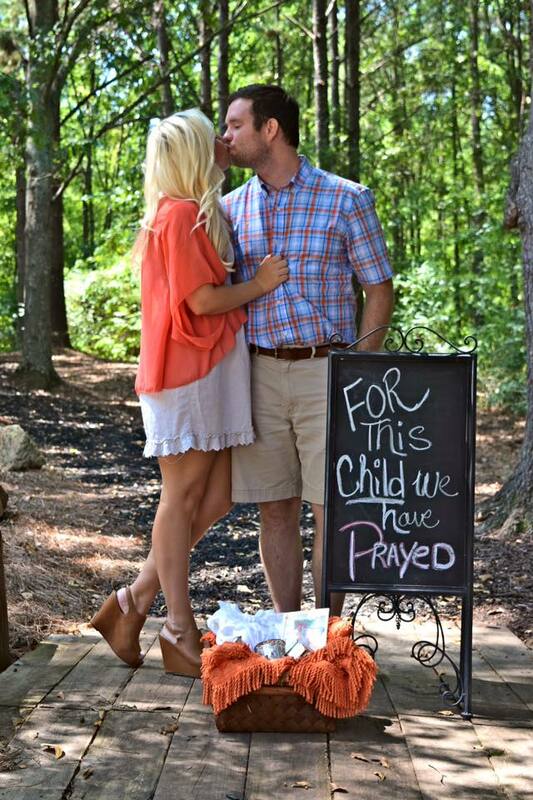 While were dating, I specifically remember us praying for our future children. It was awkward and sweet all at the same time because we did not know for sure if we were going to marry each other, but yet we still prayed for our children. We have always taken seriously the life of a baby, and any person for that matter. One of the reasons I believe we prayed so much for our children is not only the fact we want to be Godly parents but because we want to raise what we call “little disciples.” I think that so many parents miss the point of being a parent and have children for the wrong reasons and raise children the wrong way. I believe that it is the responsibility of parents—to protect their children and instruct them in the way of the Lord. That is a HUGE responsibility and one which we don’t take lightly. Lastly, we pray that God will be with our child and future children not only through times of joy and goodness but also through their times of failures, doubts and even the unfortunate times where we may fail our children. This child and our future children are not ours. They are God’s children, we just get to have the undeserving role of being their “parents” in this life and leading them to be back with their Creator one day. I don’t mean to sound all preachy but I promise you all of this is true, and I only pray that we always seek to “pray for this child” and all the children that we have, whether biologically or through adoption (which we also want to do). We value human life because God values life. We do not take that lightly. It makes me beyond disgusted and sick to think about what Planned Parenthood is doing. I can’t even talk about it because it just makes me so sad. However, as I’m sure you know, many of these girls who are getting the abortions and even the ones performing the abortions more than likely did not have parents who instructed them in the way of the Lord, which in turn has resulted in these beyond evil actions. So, you see, this cycle starts in the home with Godly parents. For that reason, we will continue to pray for our children before they are even conceived.